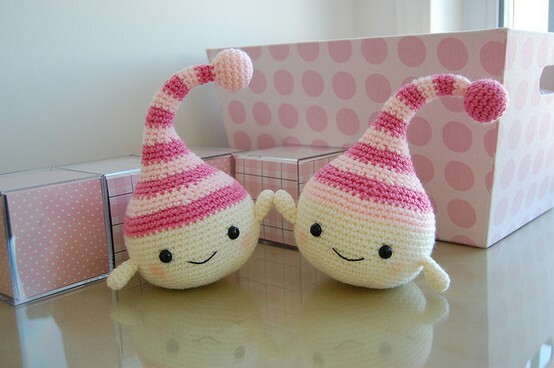 I am mesmerized by all the beautiful crochet images that are on the web today! Such beauty, such talent, such color! Here is a small, varied collection of crochet that I thought you might enjoy! What are your favorites? I always try to include links to the items when available, so you can check them out for yourselves. With summer waning, I hope to have Crochet Eye Candy more often! Aren’t these little guys the sweetest? I am a pinky girl and love the cuteness of them. I found the image on FLICKR. Speaking of pink, the designer calls this adorable hat, Strawberry Beret. 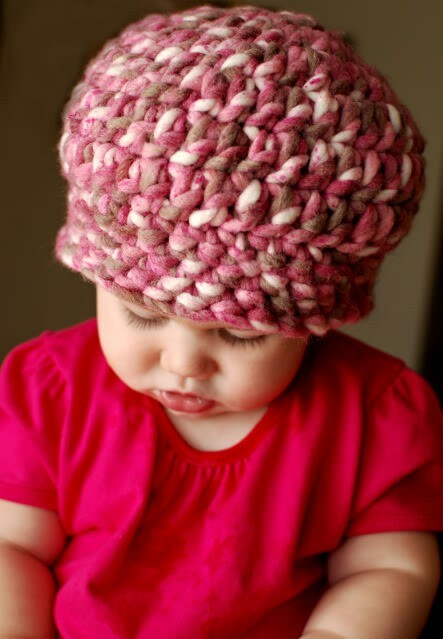 The hat is made with Super Chunky yarn and would work up super fast! The pattern is available HERE. I just LOVE the simple beauty of this pretty wrap! It looks so soft and feminine, doesn’t it? The stitch pattern looks so lacy and airy. And the good news is, the pattern is available for FREE from Caron Yarns. Designer Marty Miller did a great job on this! What crocheter or knitter doesn’t LOVE looking at yarn? 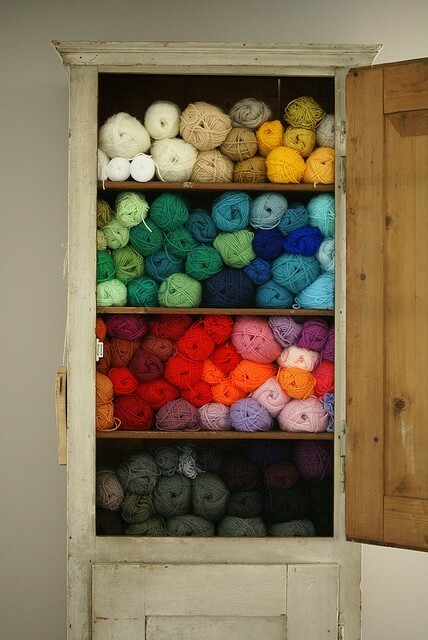 I love this picture, not only for the incredible yarn colors, but because I love this storage idea! In my house, it is important that I protect my yarn (and other valuables :)) from dust, so I like the idea of having a cabinet I can close! Stay tuned for more Crochet Eye Candy in the very near future!